If you are out of town and would still like to participate, your ticket purchase would be a donation to Project Healthy Smile. And remember every ticket purchase is tax deductible! Join us for a “White & Gold” themed event for the entire family! 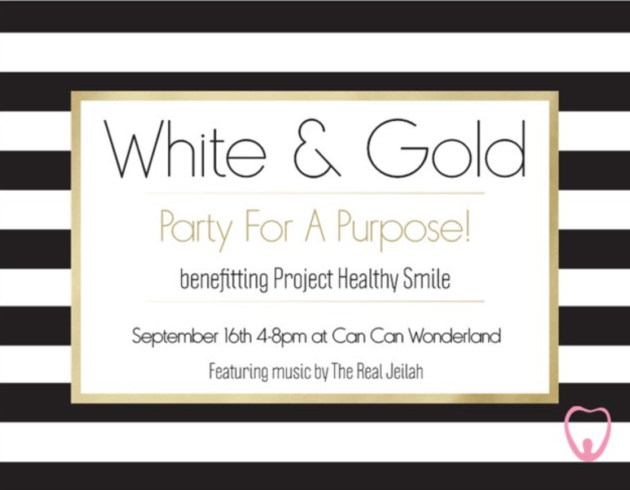 It’s time to party for a purpose to benefit Project Healthy Smile! Wear your favorite white and gold attire and step into the magic of Can Can Wonderland! You can dance the night away with our DJ “The Real Jeilah” or play a round of mini golf after you grab a bag of mini donuts! Kids attend for FREE and are welcome from 4-6pm. Then we will turn up the heat for the adults from 6-8pm including unique drink specials offered at the Can Can bar and even a full self serving beer wall! And if you still need more party time, the after party is next door at BlackStack Brewing! Check out all the fun you will have at Can Can Wonderland! BEST white & gold attire wins a PRIZE! To learn more and RSVP check out our Facebook Event page. 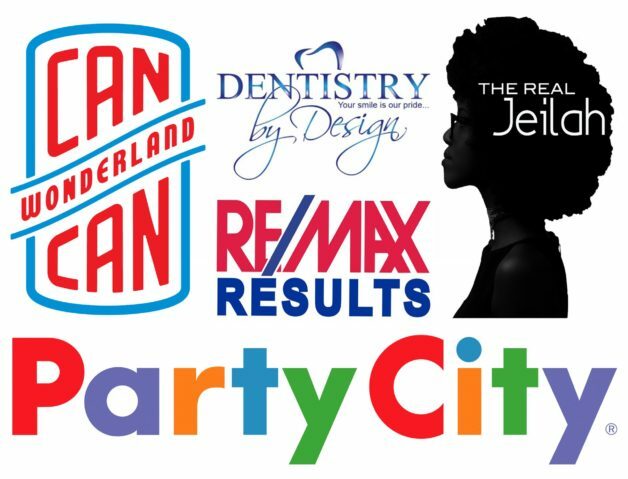 THANK YOU to our White & Gold event sponsors!